NEW YORK CITY — Thousands of kids stream into Fort Greene Park each afternoon as local middle and high schools let out, but Daquan McKethan is no longer among them. On a recent Wednesday, the seventh-grader was two blocks away ensconced in a basketball scrimmage at his school, where he now stays until 6 p.m. nightly. Last fall, he was in that park, across from a public housing project in northwest Brooklyn, N.Y., almost every day. Officials at Daquan’s school say the impact of the after-school program is not limited to the afternoon. 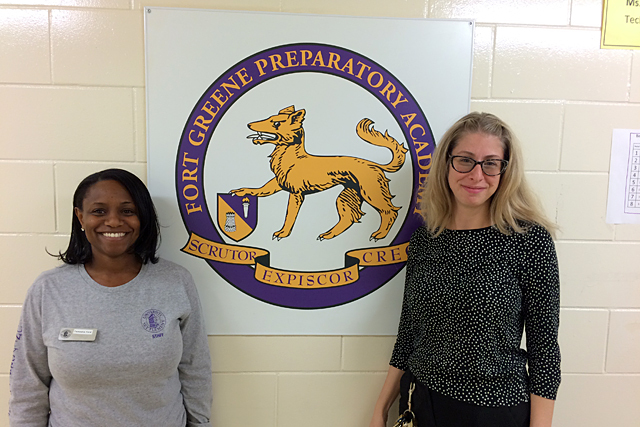 Fort Greene Prep is part of New York City’s unprecedented expansion of free after-school programs for middle school students. The city doubled the number of middle schools providing after-school programs this year, serving an additional 31,000 children — or more than 75,000 of the roughly 225,000 students in its public middle schools. The programs, run under contracts with community organizations, are providing thousands of kids with a safe and engaging place to go for three hours after school every day, but some advocates question whether their academics are robust enough. Program operators must offer at least two hours a week of literacy or science activities like creative writing or robotics, plus daily homework help. The bulk of the offerings, however, are sports, leadership development, dance, music and art. The programs have the potential to fill a gaping need. Last spring, just 28 percent of New York City elementary and middle school kids were enrolled in a comprehensive after-school program, but 67 percent of parents said they would enroll their kids if they could, according to a recent report by the advocacy group Afterschool Alliance. Close to one in five New York City children were without any adult presence between 3 and 6 p.m. Most educators are hopeful about the massive expansion, which seeks to provide a safe and engaging place for thousands of children whose families couldn’t otherwise afford the enrichment. On average, more than 80 percent of students at participating schools qualify for free or reduced-price lunch, and enrollment spiked beyond the original target, producing wait lists in some places. Still, some educators and advocates worry that the light-speed rollout has resulted in a missed opportunity to improve academic achievement for students who are struggling and at risk of dropping out of school altogether. 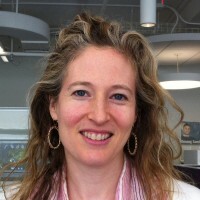 At issue is the role of after-school programming itself. Should it simply provide the kind of enrichment that middle-class families regularly give their children, plus some homework help? Or should it be akin to an extended school day, allowing more time and creative ways to meet learning goals for children who are already years behind? Advocates of the latter point out that middle school is a time when at-risk students often flounder and fall behind academically, sometimes for good. One study shows that a sixth-grader in a high-poverty school who fails English or math has a 75 percent chance of dropping out of high school. About three-quarters of the sixth-graders at the schools with the new after-school programs are not reading at grade level, and about 70 percent failed the state math tests last year. City officials say after-school programs should enhance students’ love of learning, perhaps helping them to develop a passion in sports or the arts that motivates them during the regular school day. They push back against judging the programs by academic measures. Buery would like to see cohesion with the regular school day, but “we shouldn’t get confused that if after-school doesn’t demonstrably move a school towards improved test scores, it hasn’t done its job,” he said. Community organizations — 110 in all — are receiving funding to run the new programs. They receive $3,000 per child, a big bump from previous programs, some of which topped out at $1,600, program directors said. That has allowed them to expand hours and hire some certified teachers although there are no education requirements for the staff and the only requirement for program directors is that they have a college degree. The city is now figuring out a process to evaluate program quality and impact, and Buery cautions those who want to make the evaluations too academically focused. The “missed opportunity” question was debated at a city middle school task force meeting in early November, those in attendance said. Advocates voiced concerns about uneven program quality and missed rare chances to improve academic performance. Others argued that ensuring high attendance is the primary goal initially, and some programs are still struggling with consistency. The city declined to release data on attendance, but program directors said they knew of several schools where attendance was spotty. Attendance has not been a problem at Fort Greene Prep, where the program is run by University Settlement: The school enrolled 100 students for 90 slots and daily has 95 students, many considered at risk, Principal Letierre said. Most students are poor, and last year 8 percent passed the state math exams and 15 percent passed in English. Like most educators, Letierre sees the social and emotional work of the after-school program as inseparable from the academics. 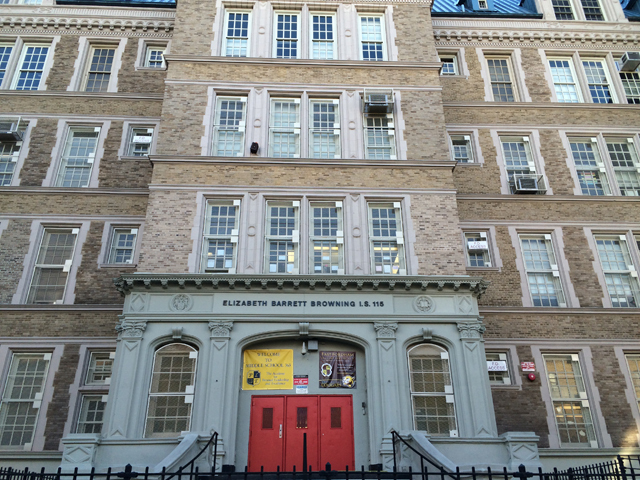 It is too early to measure the success of the program at Fort Greene Prep, but attendance is up and behavior problems during the regular school day are down. Homework completion, which hovered at 50 percent last year, is close to 100 percent this year for children who stay after school. “If kids aren’t safe after school and can’t rest their minds and feel at their core that they belong, there is no way that they will be able to learn during the day program,” Letierre said. In the Bronx, East Fordham Academy for the Arts is another striving middle school in a tough neighborhood that added an after-school program this year. The program there, run by Good Shepherd Services, was allotted 111 slots and has overenrolled to 138, with an additional 15 children on the waiting list. Consistent attendance jumped after the first three weeks when the program was approved to serve supper. “That was a really big deal,” said Bonilla, a former middle school teacher. “A lot of them don’t have food at home.” About 98 percent of East Fordham Academy students qualify for free or reduced-price lunch, and a quarter are English language learners. Last year, 5 percent of the children passed the state English exam, and 6 percent passed in math. Students in the program were attentive and engaged on a Thursday fall afternoon. Yull Diaz, also 11 and in seventh grade, said he likes that the environment is more personal than during the academic day. “Less people are here so I learn more,” said Yull, who was writing an autobiography. “My regular class is 30 kids and all the kids are calling out and stuff.” He also appreciates the homework help. “My mom is at home, but she doesn’t speak a lot of English,” he said. Safety is a big issue in the neighborhood. Bonilla runs a tight dismissal, careful to check several court orders of protection to make sure the wrong parent isn’t trying to pick up a child. On Halloween the after-school program was closed in part because the holiday is a big gang initiation day in the neighborhood when new recruits must cut or rob someone to become full members. Many parents say they want both for their children: the opportunities to succeed academically, and develop themselves in a safe environment. “I would not want him to fall back academically,” said Lisa Duprey Simon, a single mom who lives with her two children in Brooklyn’s Bedford-Stuyvesant neighborhood and works as a hair stylist until 8 p.m. most days. She transferred her son Pryor, 11, to Middle School 61 in nearby Crown Heights when she learned it would have a free after-school program. This story was produced by The Hechinger Report, a nonprofit, independent news website focused on inequality and innovation in education. Read more about extended learning time.